One of the nice things about doing this cheese project is that once it comes up in conversation, nearly all of my French friends have something they are excited to share. My friend Claire, another gymnastics mom, assures me that I cannot write about cheese and become any sort of cheese expert without having a full Mont d'Or dinner. Who am I to argue? She graciously invites me to her home in the Marais and serves not just the typical Mont d'Or winter dinner, but also a wine from her godparent's vineyard -- an AOC wine of the Jura called Arbois Cuvée Béthanie -- that is specially chosen to go with the cheesy meal. And this meal is cheesy, make no mistake, but not in the sense of tacky or gauche. It's an absolutely lovely tradition involving a melted, oozy, gooey winter cheese. To prepare it, she poured white wine from the Jura (the local terroire of this cheese) into the Mont d'Or carton then poked in a few garlic cloves. It's then wrapped in foil and baked around half an hour till it becomes a bubbling, goopy mass, at which point it's served over potatoes or charcuterie (sausages and cured meats). It is virtually always served with Morteau sausage, boiled potatoes, baguette bread, and salad greens. It's a classic combination. It's warm on a cold winter day, which is the reason this is a strictly winter tradition for a strictly winter cheese. Local cheese shops and grocery stores proudly announce the start of Mont d'Or season around December and continue it through March, with boxes of all different sizes (for smaller and larger parties). But the rest of the year, you'll be hard pressed to find a carton of Mont d'Or anywhere at all. The meal is absolutely delicious but the best part is the company and conviviality. Usually bought in wooden containers, which can be cooked directly. But it is possible to buy slices from a larger wheel. Here, cold and by the slice, from a little cheese shop on the island. Either way, it's a raw cow's milk cheese from the Jura in the France-Comté (French Alps mountain region). It also goes under the name Vacherin du Haut-Doubs. Confusingly, there is a slightly different version of this cheese called Vacherin Mont-d'Or or, simply, Vacherin that is made in Switzerland with partially heated (thermized) milk. I guarantee you that even most French people have no idea about the nuanced differences between these cheese and mostly just think of them all synonymously. But we're more informed than the average cheese consumer, aren't we? It's aged for a month in the cellars until it becomes a semi-soft cheese -- actually it feels just between a soft and hard cheese. Supposedly, when it's half ripened and in a softer state, locals like to eat it with a spoon. 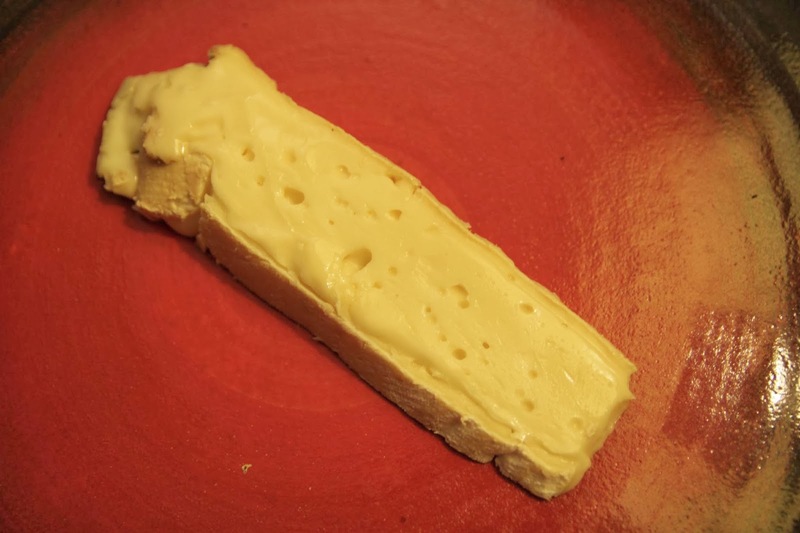 Before it's been infused with white wine and garlic, Mont d'Or has that definite mountain cow cheese flavor -- strong, herbaceous, tangy -- and also hints of spruce and mushroom. No wonder you can taste the mountains: At the beginning of the fall, the cow herds come back to the stables after summering on the mountain tops. Nowadays, in order to be able to wear the AOP label, the cows must be Montbéliarde or French Simmental breeds fed on grass or hay and never fermented feed. Originally, farmers from Mont d'Or invented the cheese when there was insufficient milk to make big wheels of Gruyères or Comté. They needed something smaller, and voilà a cheese was born. Mont d'Or goes back at least to the 1700s -- and probably before. At that point, there are records that King Louis XV enjoyed it at his table. And we enjoy it, very, very much, at ours (but, to be honest, more in its melted state than simply plain). Because of the meaning of Mont d'Or -- "Gold Mountain" -- I am tempted to use this cheese for a story having to do with San Francisco. But, in the end, this meal is just too special, and too especially cheese-related, and too typically French, and I have to be a purist and write a whole story about the meal itself. In honor of the "Gold", however, I am publishing it during the Olympics, which happen to fall in the heart of Mont d'Or season.